Looking for some privacy? Our Deal of the Week may be for you! 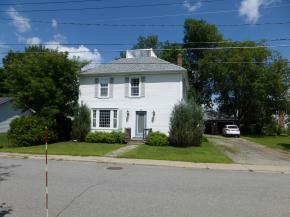 Take a look at this 3 bedroom 2 bath raised ranch in Newport Town, Vermont. The home sits on a 4.8 acre lot and is located on a dead end town maintained road. Nice level lot is perfect for gardening. The basement is finished for you to use as an in-law, or rent it out and pay your mortgage! Has attached 2 car garage. $169,000. Click here for more information and contact Travis Casey to see this home. If space and easy living is what you are looking for, your wait is over - it's our Deal of the Week!! This over-sized ranch in Newport Town, Vermont has 4+ bedrooms and 2 full baths. Central kitchen with newer fridge and range has slider to deck with great light and views to the South. Wood burning fireplace in the large, yet cozy, living room. Downstairs you will find a suite with its own kitchen, living and bedroom. New vinyl windows and vinyl siding make maintenance so easy! Two car heated garage under, and separate detached commercial style garage with 10' overhead door. The home includes 3.7 acres with attractive and level lawn. The present owner has developed a small barn/lean-to and fenced in area for your furry/feathered friends. Conveniently located between Jay Peak Resort and Burke Mountain, this property is also convenient to Newport City and I-91. $225,000. Click here for more information and contact Lyell Reed to see this property. 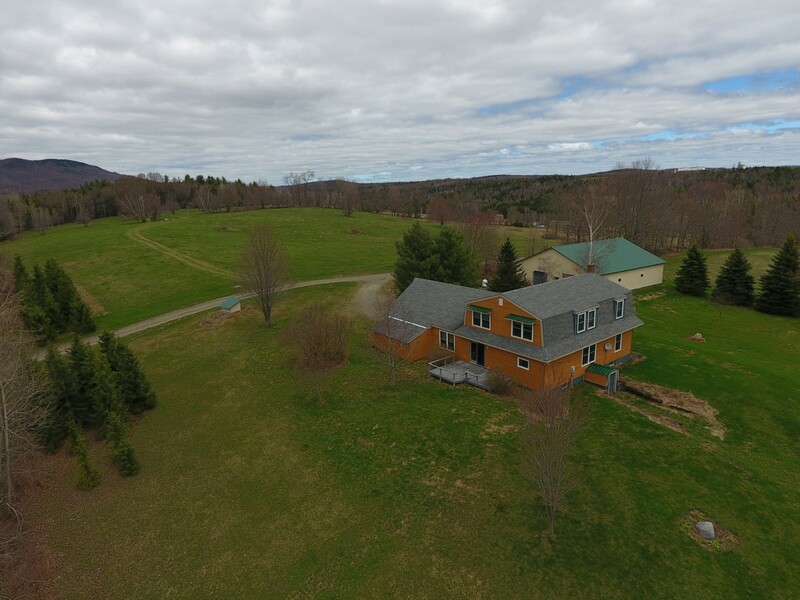 Gorgeous secluded family compound on 166 surveyed acres in Newport Town, Vermont is for sale - it's our Deal of the Week! This large (7,000 square feet!) home is truly one of the finest in the Northeast Kingdom! Home has six bedrooms and 6.5 baths. 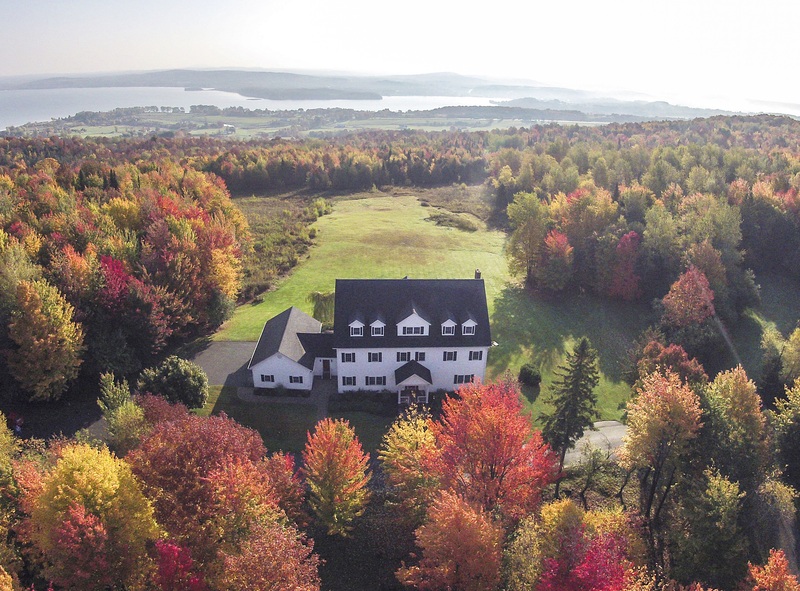 Home sits high on a hill and has views of Lake Memphremagog, Newport City and the surrounding mountains. This is a wonderful house to entertain in and is just 20 minutes from Jay Peak Resort. $950,000. Click here for more information and contact David Campbell for a private showing. This lovely three bedroom, four bath Lakefront Home in Newport, Vermont is our Deal of the Week! 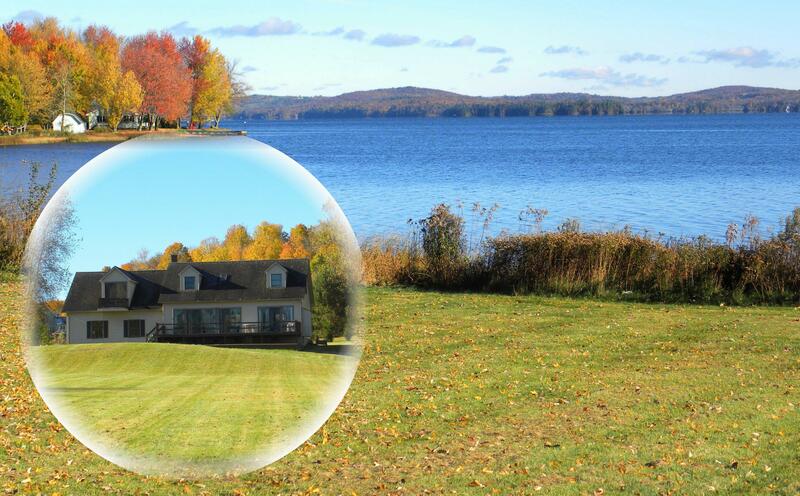 This home has 200' of water frontage on lovely Lake Memphremagog and provides spectacular views. The home has an attached two car garage with finished bonus room above, and a full unfinished basement. Home sits on 5.23 acres with all of the privacy you can wish for, yet is close to Newport City restaurants, shopping, schools, hospital and more. $425,000. Want more land? The property can be purchased with a total of 8.8 acres with a detached, heated garage with room for six cars and an RV for $595,000. Click here for more information and contact Dan Maclure to see this great property. This beautiful 3 bedroom/3 bath home in Newport City, Vermont has shared, private access to 500 feet of beach frontage in Lake Memphremagog. Wonderful open layout - chef's kitchen has double wall oven, stainless steel appliances & island seating; wood stove in living room and French doors to deck to let in the light! First floor master suite has walk-in closet, enclosed tile shower, soaking tub & double vanity. Private office completes the first floor. Upstairs you will find 2 additional bedrooms and full bath plus a bonus room. Full unfinished basement with full windows, ideal for future expansion. Oversized attached 2 car garage. This is a Must See! Click here for more information and call Barry Sykes to see this wonderful home. 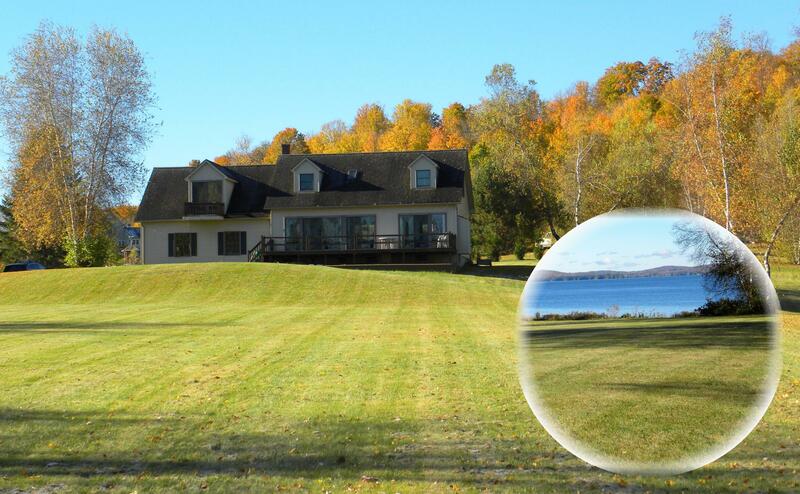 This lovely three bedroom four bath Cape Cod home in Newport City, Vermont sits on 5.23 acres with 200 feet of frontage on Lake Memphremagog......it's our Deal of the Week! Wonderful private yard with spectacular views!!! Home features an attached two car garage with finished bonus room above, along with a full unfinished basement, all for $450,000. Want more space? This property can be purchased with a total of 8.8 acres and a detached, heated garage with room for six cars and an RV - $595,000 for the entirety. Click here for more details and contact Dan Maclure to see this property.